Treasure Village Montessori was founded in 1998 by a group of local parents and community members. A contract was formed with the desire to create a school that would enable children in the Upper Florida Keys the ability to attend a public elementary Montessori school. Their vision; a charter school that embraces the Montessori philosophy that would be free from tuition and geographical constraints, it would increase available resources and enable the school to offer a fuller scope of subjects in addition to the traditional ones. Initially a K-3 program of 60 students, Treasure Village Montessori (TVM) now encompasses grades VPK through 8th grade with an enrollment of 215 students. 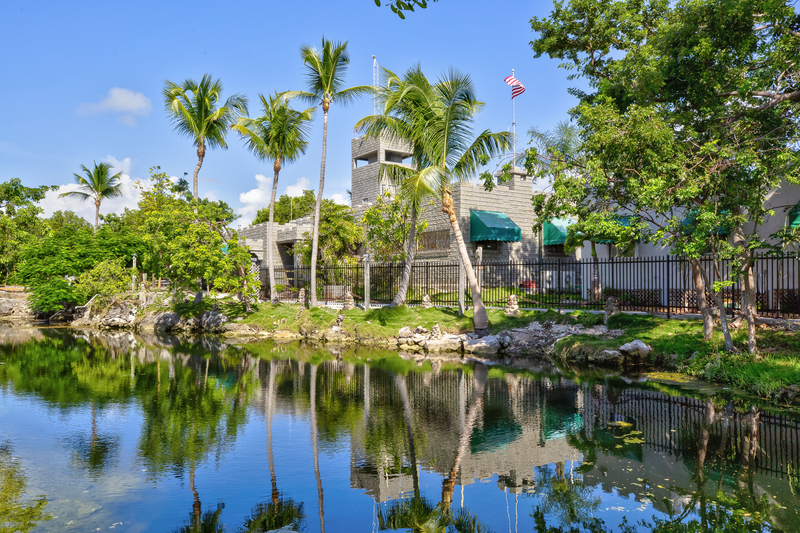 Treasure Village Montessori is located on foliage-rich grounds in the beautiful Village of Islamorada in the Florida Keys at Mile Marker 86.7. TVM occupies over 10,000 square feet of space that include gardens, courtyard playgrounds, learning labs, outdoor classroom space, a library and Spanish lab, media and art rooms all within a imaginative environment once celebrated as an historic museum. Our building resembles a charming college campus nestled within an old world castle and surrounded by a secret tropical garden and pond. The roadside fortress, known presently as Treasure Village Montessori, was once known as Art McKee's Museum of Sunken Treasure. Built in 1950, the building originally displayed millions of dollars of salvaged treasure discovered by the late Art McKee. All of the treasures once kept safe in this facility were found in the surrounding waters from various Spanish Galleon wrecks including The Capitana El Rui, circa 1733 and 9 other wrecks from the same fleet grounded just inside the reef line northeast of Upper Matecumbe Key. The Montessori school's facility resembles that of a fortress and rests on 2 1/2 acres of land. It features a naturally occurring estuary and from the 40-foot tower or Keep, one can gaze upon the ocean, the Florida Bay and the future history makers we call Seadragons.